Great book, my go to guide when I get stuck doing an API. So I started by looking for something more intense with an opportunity for robustness. This book beats this expectations till the point I was doubting whether to even start. I'm In chapter 8 of it now. Almost done. But I can't wait to share my gratitude for this handsome piece of help. I'm using rails 4.2. The book is not totally compatible with rails 4.2 but every solution is the issues page. I have had to find a custom fix in one or two places. It's my third I can't wait to finish. Genial libro sobre cómo crear una API correctamente con Rails. Muy bien estructurado y entendible en todos los aspectos. Merece la pena leerlo y poner en práctica. 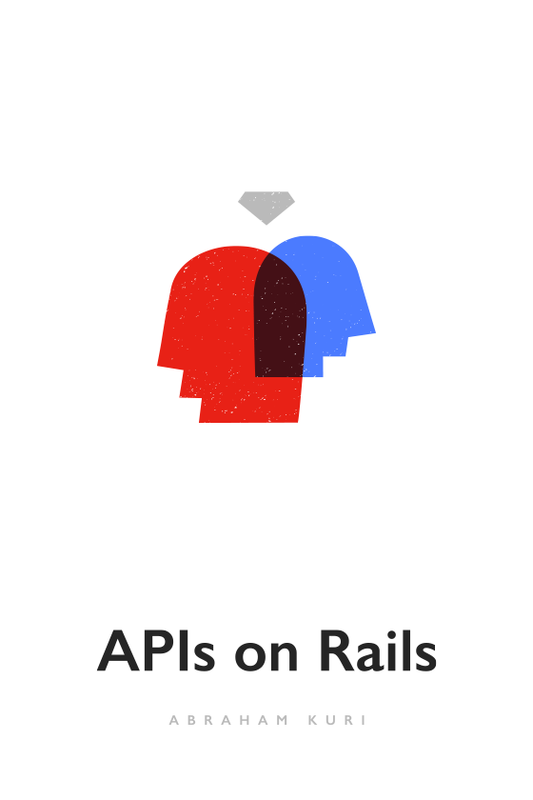 Wonder how to build API on rails? Versioning, subdomain and more cool features you would never thought about. This is an exact book you was looking for. Easy to read, easy to follow, easy to complete. PS. It also requires some basics of ruby and REST before you start reading this book. PPS. Despite the fact I spent my last 3 hours looking fixing the issue I ran into in 3d chaptsharinger I want to give a big thank you to Abraham for sharing his knowledge and experience on building api with rails. I read the reviews of the book, and it seemed like just what I needed to get my head around the API side of Rails. I started to follow the author through the journey and build the API he looks to develop in the book, yeah easier said than done. The code constantly errors. Even using the source code from his own GitHub errors. An utter waste of my time and money. I was happy to let off all the poor grammar and spellings in the book, it was until chapter 2, and the code didn't run that I had had enough.